Seity Insight works with organizations using a systems perspective and offers solutions that respond to the unique issues of the organization. We work with people throughout the organization to increase effectiveness, build trust, and improve performance results. 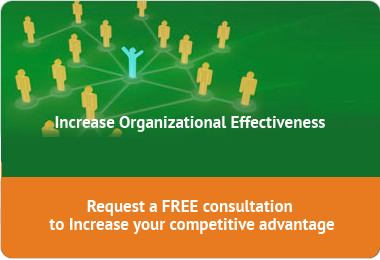 We offer methods to provide a competitive advantage for our clients. Methods are tailored to the clients’ needs and business objectives. We have over 25 years in organizational improvement methods that focus on business results. Seity Insight is an organizational management consulting company working with individuals at all levels to improve value in the workplace. Established in 1999, Seity Insight has earned credibility as a results-based organization providing custom services to companies large and small across several industries. Our methods emphasize a ’whole system’ view of business performance focusing on the effectiveness of people resources – the human capital. This systems perspective uses a participative, proactive approach to business issues and opportunities rather than a reactive, quick fix. We hired Seity Insight after we tried three other types of consultants. Deb offered our organization a method that was different and uncovered what was really going on with a roadblock between our Sales and Engineering departments. Deb uncovered the real causes of our issue through Organization Network Analysis. I personally made some immediate changes in my department after finding the key people identified, some that I didn’t realize were so critical to what others were doing. Deb’s work uncovered the leverage points we needed to identify a savings of millions of dollars and make informed decisions for the business changes in the company. Deb consistently provides valuable insights into how our employee’s really think and feel and exceeded management’s expectations on how we should be thinking about the results with the goal of having a productive and happy workforce. Deb brings an uncommon blend of research expertise, critical thinking skills, and an incredible cultural assessment process (KĒS) to all her professional engagements. The icing on the cake – she is ethical, has a wonderful personality and is a joy to work with. Deb has been a valuable contributor in all her work with me, and I look forward to each opportunity to partner with her. I whole heartedly recommend her. I’ve had the pleasure of working with Deb and Seity, Inc. for over five years. During this time, Deb provided critical organizational development to staff members and management. She also provided change management training and executive coaching to our management team that helped us navigate multiple difficult projects requiring careful focus on change management. She helped us prepare our team for change and gain their acceptance, ensuring success of key projects. On a personal level, Deb has provided me individual management coaching and mentorship. I continually use the skills and strategies Deb provided me to strengthen my leadership style which has directly benefited my team and the business and has been instrumental in helping me reach my full career potential. BestCompaniesAZ uses Seity Insight to provide consulting services for clients that want to improve their culture, communication or organizational effectiveness.. Deb, Principal for Seity Insight, works side by side with us to support our clients by providing survey analysis and recommendations for improvement and other services that help them close the gaps uncovered from the survey results. 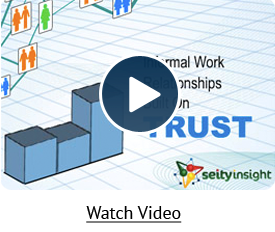 It is important to the BestCompaniesAZ brand to work with a professional organization like Seity Insight, and Deb is currently our exclusive partner in this area of specialty. Deb combines a strong grasp of human relations and experience with technical systems in her consulting experience. She is also a masterful teacher and coach. I strongly recommend Deb to potential clients. Deborah Peck has provided us with advice which has been very beneficial to our company. She is a true expert in her field and has provided a friendly efficient service. I am grateful we found Deborah. I would recommend Deborah as a professional who consistently produces excellent work and in accordance with our commitments and expectations. I have found her to be direct and thorough in seeking the necessary information needed, and very creative in drafting the resulting product.